This is an actual generator that make barcode for product that are in the shops however you do need to purchase the barcode codes first that you will need to input into this generator. It will generate a png which have no anti aliasing so you can import it into illustrator to make it into a vector version however with illustrator you do need to type the numbers new under it as the numbers will look odd. 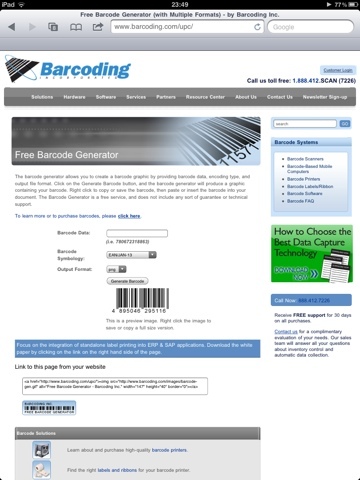 Visit http://www.barcoding.com/upc/ to find the barcode generator!